It’s a job that’s well-suited to soldiers, combining trust, teamwork and a strong work ethic. 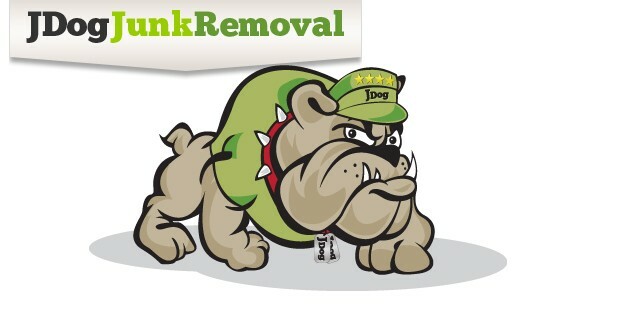 JDog Junk Removal is looking for a few good men and women to run their own junk removal franchise, and it’s searching for these entrepreneurs exclusively within the ranks of America’s veteran and active military personnel. With the unemployment rate for Iraq and Afghanistan-era veterans at 9.5 percent, compared to 8.2 percent rate nationwide, JDog Junk Removal offers a solution to veterans who are looking for work, transitioning into the labor market or want an alternative to the traditional desk job. JDog Junk Removal attracts top-notch talent by offering flexible hours and year-round work, and its clients receive outstanding service while giving back to those who served their country. Franchisees remove junk, garbage and recyclables from any property and sort, haul, recycle and discard unwanted items. Whether by using recycling facilities or by donating to local charities, JDog Junk Removal employs environmentally friendly methods of disposal. Owners are encouraged to increase their revenue streams by recycling or selling any of the items in their possession. Discovery’s HowStuffWorks calls junk removal one of the top 10 recession-proof businesses. An affordable entry into both the private job market and business ownership is possible with a comparatively low franchise fee of just $15,000 and a total initial investment between $40,000 and $70,000. Franchisees receive the hands-on training, support systems and assistance programs needed to effectively get their businesses running quickly, with a rapid-launch capability of less than 90 days. Launched by Jerry Flanagan, a U.S. Army veteran, no other franchise has ever been developed by a veteran solely for veterans. JDog Junk Removal draws from a smaller pool of applicants compared to its competitors, which benefits applicants because they’re not competing with business professionals. “I’d rather keep this sacred for the people that need it, because I think military veterans have a hard time getting an equal shot in the workplace. We’re all brothers and sisters in this,” Flanagan said. For more information on JDog Junk Removal, please visit: JDog Junk Removal. For more information on the JDog Junk Removal franchise opportunity, please visit: www.jdogjunkremoval.com/own-a-franchise or call (877) 994-4327. Founded in 2011, JDog Junk Removal began franchising in 2012. As a full-service junk removal company, JDog Junk Removal will sort, haul, recycle, donate and discard of junk, garbage and recyclables with same-day service and the ability for small or large pick-ups. It is environmentally conscious and disposes of non-recyclable items at the proper facilities. JDog Junk Removal is a veteran owned company that exclusively offers franchise opportunities to veterans and active-duty members of the United States Military.